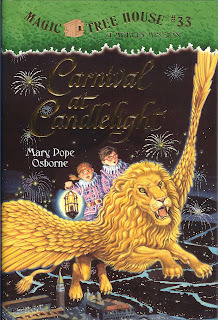 Carnival at Candlelight is Magic Tree House Merlin Mystery. Jack and Annie go to the Magic Tree House and meet their friends. 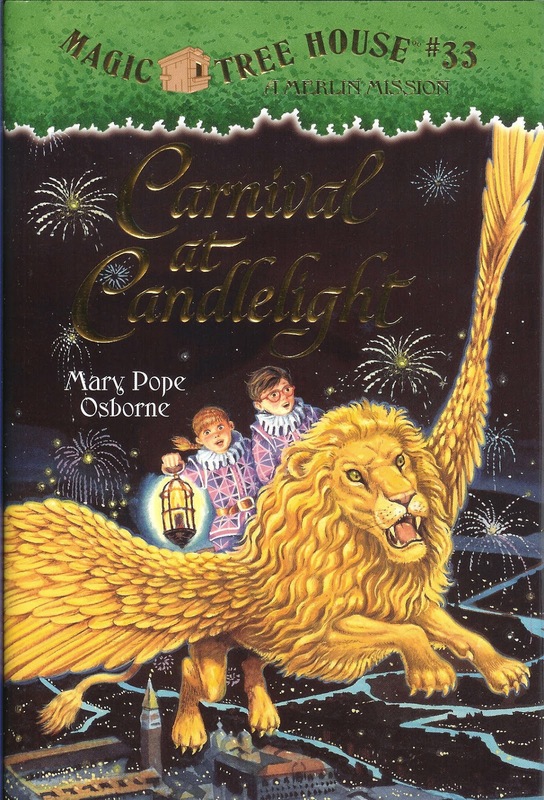 They travel back in time to the night of the last Carnival in Venice. At the Carnival, there are many people. When they get to the Carnival, Jack and Annie go into a castle. They go up golden stairs and find a snoring guard. Next, they go into a room full of maps, but they get caught by a grumpy guard and a sleepy guard. The two guards take them to the dungeon, but Jack and Annie use their spells so they can break out. After they break out, they find a famous painter. Then, the painter gives them a picture to finish. Last, they go home and talk about what they are going to put in their picture.